Noxster has years of experience when it comes to creating optimized SEO content for your brand or business. We are dedicated to making use of data analysis and other innovative technologies to ensure that you receive the top ranking for your industry-specific keywords. We offer a range of SEO tips for your Los Angeles based small business and are happy to share our professional insight if it means you get the rankings you want! Our SEO services, social media optimization, Pay Per Click Management, Conversion Rate Optimization, web design, Google penalty recovery, SEO copywriting, graphic design services, and app creation are all easily accessible and make use of the latest technologies. 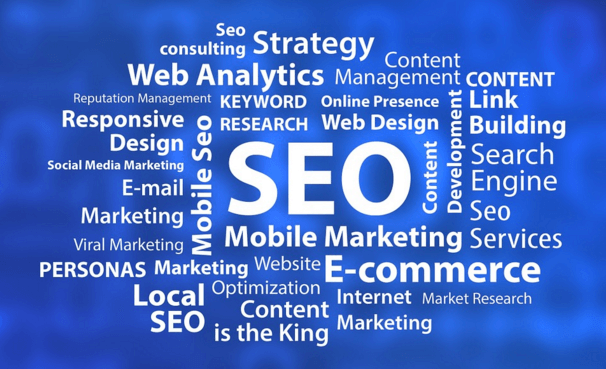 Our SEO Los Angeles services are wide-ranging and address the latest search engine algorithms, which, as clients know, can change in the blink of an eye. At Noxster, our SEO team updates each client’s page to make sure they are current and that new SEO strategy are addressed as soon as possible. So, what are the most important SEO tips for your small business? Well, no matter what industry you are in or what kind of product you sell, SEO Los Angeles services are worth the time and financial investment. Our team at Noxster will perform a keyword analysis on your website as well as an industry market comparison. We will perform market research and discuss your needs so we can better understand your company’s goals and online branding strategy campaign. From their we will make use of programming, internal linking, original content, coding, and external linking strategies to ensure that you receive the SEO rankings to get you to the first page of Google. Business Tips and SEO Strategy for Local Family Brands. Know Your Market: Ensure that you are familiar with your competition. Remember the phrase; “keep your friends close and your enemies closer”? Make sure that you know whom your local competitors are, whether or not they are using an SEO Los Angeles company, and whether or not they own important keyword-rich domains online. Keep It Simple: Keep your SEO strategy simple and consistent. Our team will help you pinpoint the range of keywords that you want to rank for, then we will create original, keyword rich content that is distributed online. Quality copy and organic rankings take time, but it is worth it because you will guarantee yourself a spot on the first page of important search engines. Stay On Top: In order to stay on top of the latest SEO trends and digital marketing strategies, you have to have a reliable and creative team dedicated to your branding and SEO Los Angeles strategy. Your content has to be SEO streamlined, your social media should be updated regularly, and your website should be responsive. Our team of creative and data-driven copywriters and SEO experts at Noxster is dedicated to helping you receive the search engine rankings you want. Our SEO Los Angeles Company has years of experience in getting companies in various industries ranked onto the first page of search engines like Google, Yahoo, and Bing. For all of your SEO Los Angeles needs, call 888-507-4944 or visit our website.